What could possibly make this classic pasta even better? When it only has all-natural ingredients and is handmade, of course! 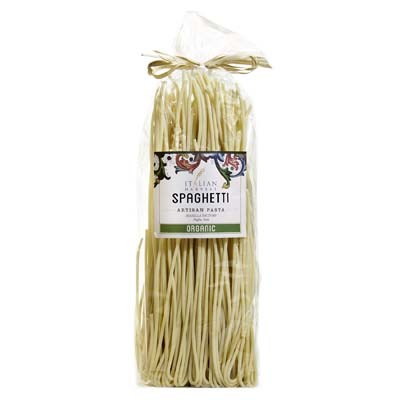 This bag of Organic Spaghetti by Marella, is exactly that. And because it’s handmade, each strand is deliciously unique. One of the most popular classic pasta types, you can serve this pasta with any sauce you want. Pesto, carbonara, pomodoro, marinara, arrabiata, or meaty ragù, it doesn’t really matter which one you use. Any sauce will make it a hearty meal. Just ask little children which pasta they love. If you want a sure hit during family dinners, serve this pasta with any classic sauce. What are you waiting for? Take a bag now!